During the latter half of the 20th century there was a spate of novel writing in Barton-on-Humber. Dr T.H.Kirk wrote several children’s books. 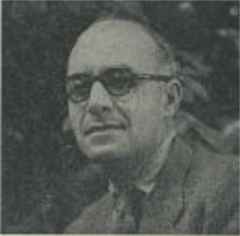 Henry Treece, published more than 70 books. 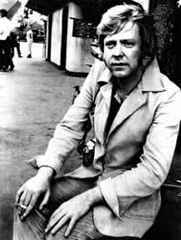 Ted Lewis wrote 10 novels, one of which was made into a film. Born in 1899, Tom Kirk came to Barton as assistant to his Uncle Dr. Naismith, who had taken over the Morley practice in Burgate in 1921. In 1924 Tom took over the practice himself, and his uncle returned to Northumberland. In 1927 Dr. Kirk took George Gilmore into the practice as his partner. Soon after this Dr. Bradnack, partner to Dr. Birtwhistle in the rival practice, married Nora Kirk, Tom’s sister. The Kirk practice and the Birtwhistle practices amalgamated. During the war Tom’s Peggy joined the practice to replace Dr Gilmore who had joined the RAMC. last survivors of the First World War. Sadly he died in 2004 aged 105." In view of the big contributions which they made, both to literature and to the repute of the town, the Civic Society proposes to erect plaques to commemorate these three on the houses in which they lived. In addition to these major authors, Dr. John Swaby, who was Vicar of Barton in the 1960’s had a book published entitled “The Marshmen”. Three ex pupils at Barton Grammar School went on to publish novels after leaving both school and town. Although we still have much talent in the town, our current authors write non-fiction. Rex Russell, Geoff Bryant, Ron Newton, Enid Bryce and numerous members of WEA classes have been writing up aspects of the history of the town, and of the town’s contribution to the 1939-1945 war, and these excellent books have been privately published by the WEA. Novel writing however is different. It requires the imagination to invent plots as well as the ability to fashion them into a story which “grips” the reader. For about 50 years novel writing flourished in Barton. Will anyone continue the tradition into the new millennium?